A gorgeous A-Line style wedding dress. With delicate lace straps coming off the all over lace bodice. 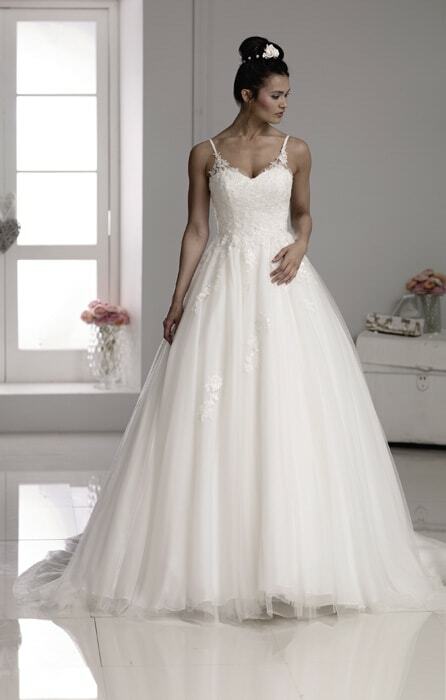 Lace applique motifs trail down the full tulle skirt leading round to a chapel length train.